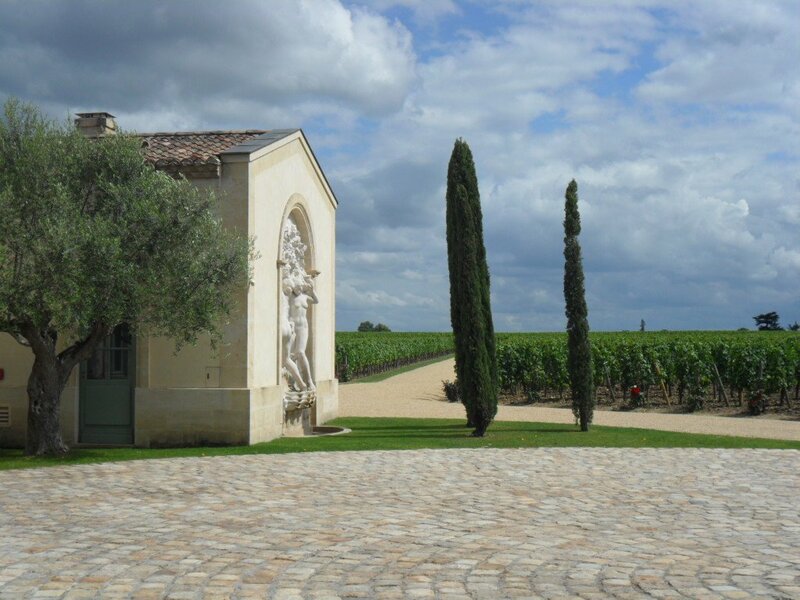 After the visit and the lovely lunch I had at Cheval Blanc in Saint Emilion, the next visit for THU afternoon, on June 23rd, was at Petrus in Pomerol. This 11.5 ha property produces around 3000 cases, each vintage, of one of the most sought after wines in the world. 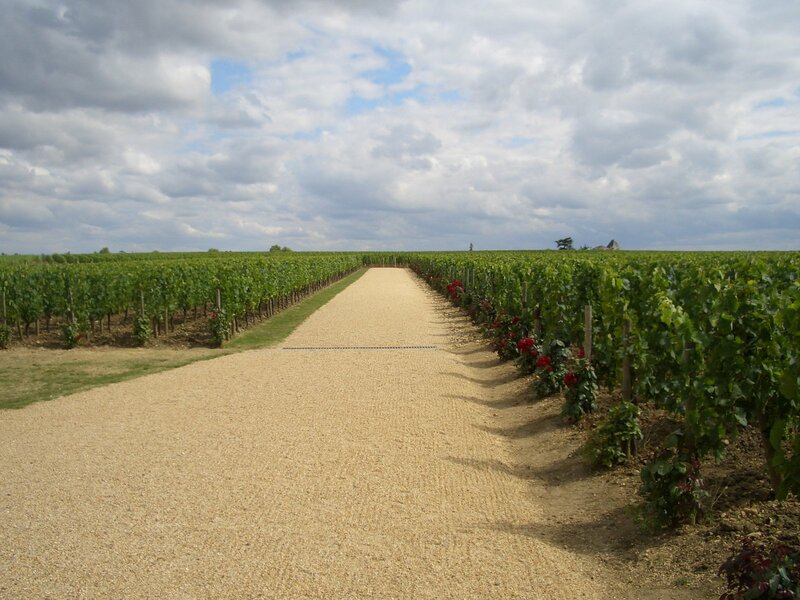 The Petrus land is unique: a topsoil of blue tinged clay and a subsoil of gravel, the whole lying on Pomerol’s iron rich crasse de fer. 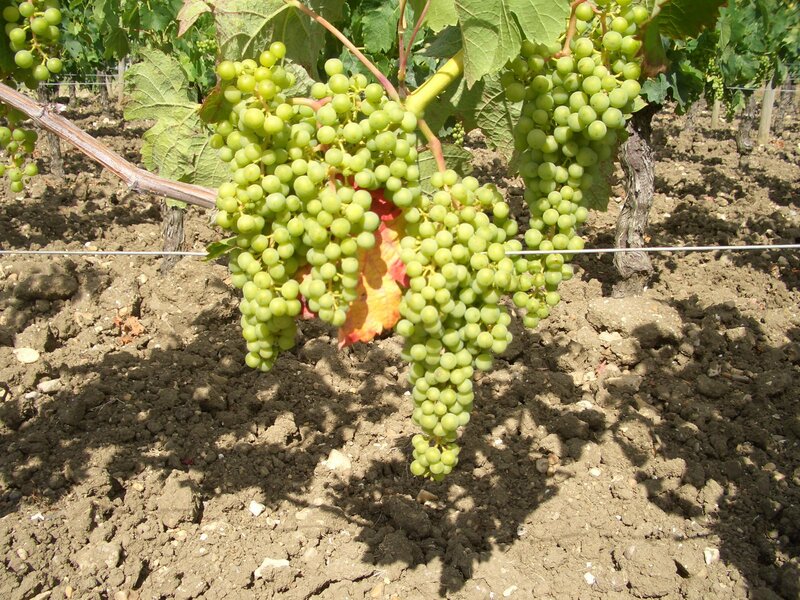 The choice of grape varieties, and the extreme attention to detail, count for much also. 95% of the vineyard is planted with Merlot, and 5% with Cabernet Franc, yet the latter is often not included in the grand vin for want of maturity. Petrus is thus frequently a 100% Merlot wine. 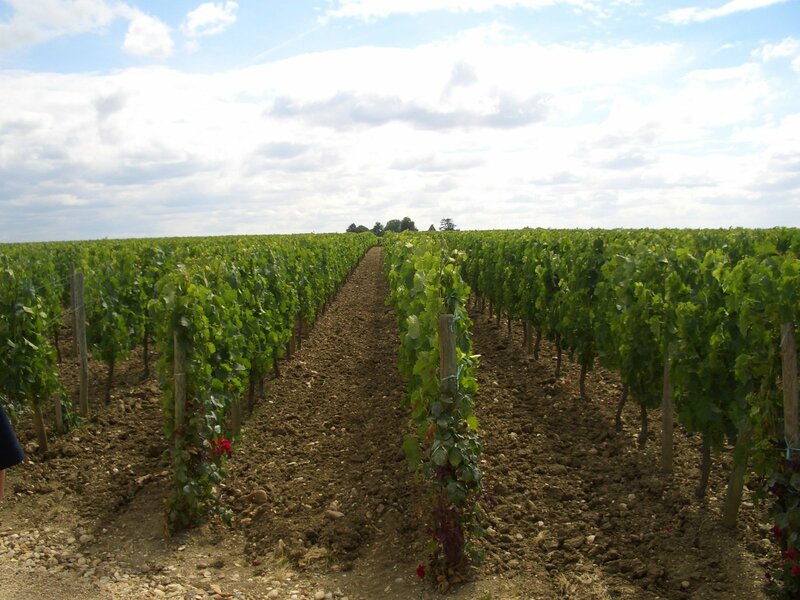 The average age of the vines is 40 years, where 30 or 35 is the norm. The estate goes to extreme lengths to safeguard the quality of its fruit: in 1987, to counter the effect of rain at harvest time, a helicopter was hired to hover over the vines and dry them with its down wash. In 1992 plastic sheets were used to cover the ground and prevent the rains from infiltrating the soil. Just as I arrived in time for the 17:00 appointment, I was about to have the biggest surprise ever. I tried to open the door to enter the courtyard but it was locked. A woman appeared from the office building in the courtyard, and, from a far distance, she loudly asked: “Vous etes les Roumains ?” I replied “Oui Madame“. I received the warmest welcome that anybody can only hope for. At Petrus. Talking about life being full of surprises. The lady from Petrus has shown a genuine warmness and it was an extremely enjoyable host during the whole time we spent visiting the property. 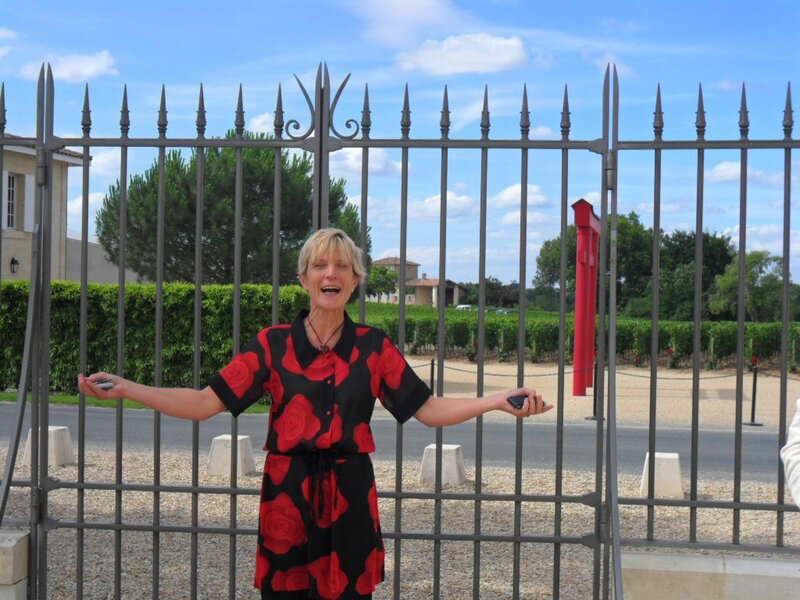 I found out that she was an American, living for over 20 years in Bordeaux and working at Petrus for 4 years now. We walked on the perfectly ordered alley through the Petrus vineyards, while my host was explaining details about the terroir, vines, grapes and gladly sharing all the information about this acclaimed property. 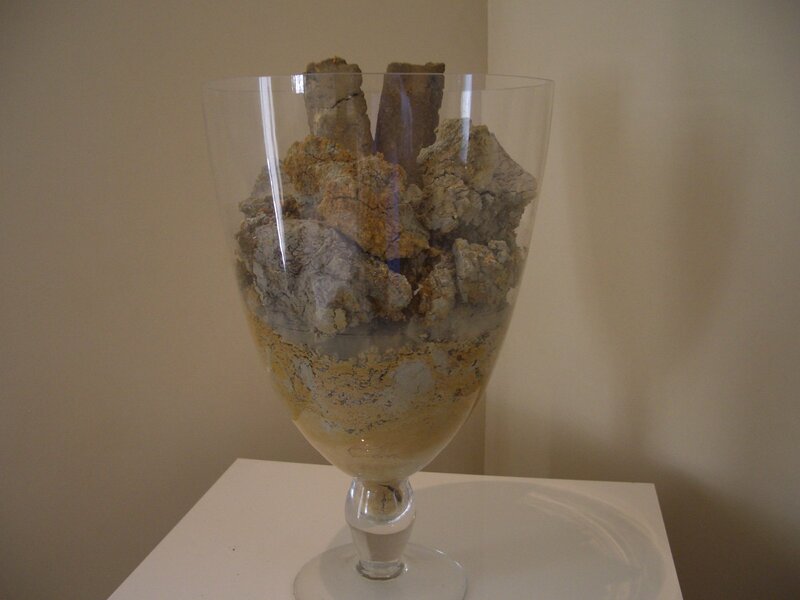 The soil is just 80 cm deep before the blue clay starts. This clay provides water when there is not enough rain for the vines, and acts as a permeable layer when there is excessive rain. Therefore, the vines almost never suffer from drought. 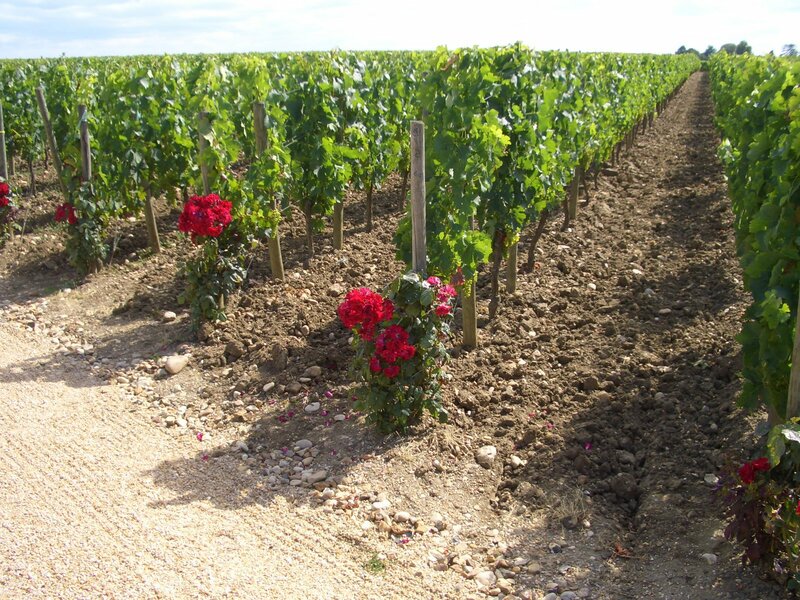 Roses are planted at the beginning of each row of vines – a common thing I noticed everywhere in Bordeaux. 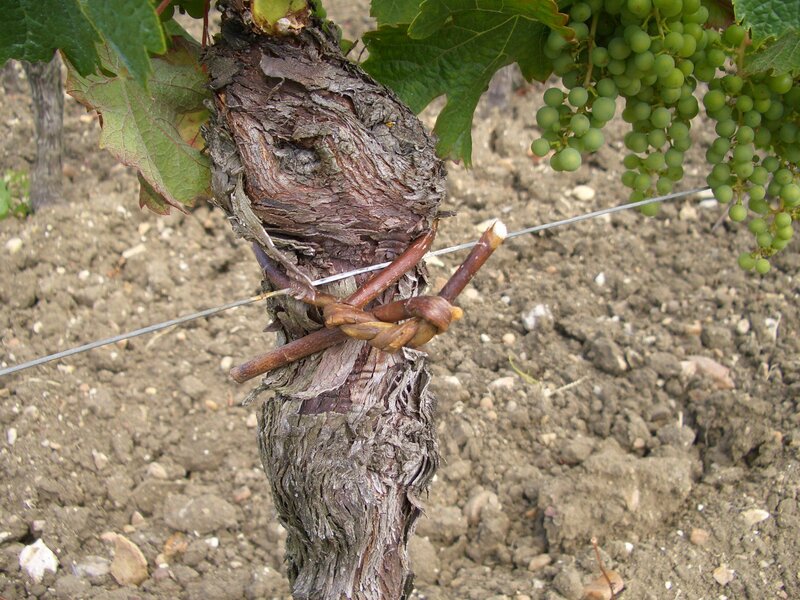 The purpose is to give warning signals about any potential diseases that might attack the vines. Usually the roses being more fragile are attacked the first ones, therefore these diseases can be prevented by humans prior to reaching the vines. 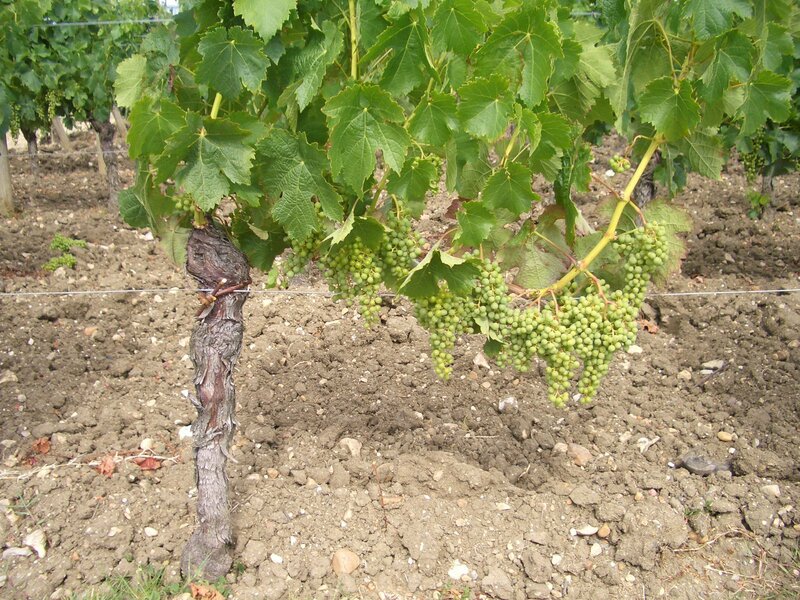 The vegetative cycle of the vines is more developed than usual, just as it is in the rest of Bordeaux, but the grapes look perfectly healthy. When you would think that the wines sell for hundreds and thousands of Eur per bottle, you would expect to see shiny brand new materials used in the vines and in the cellar. 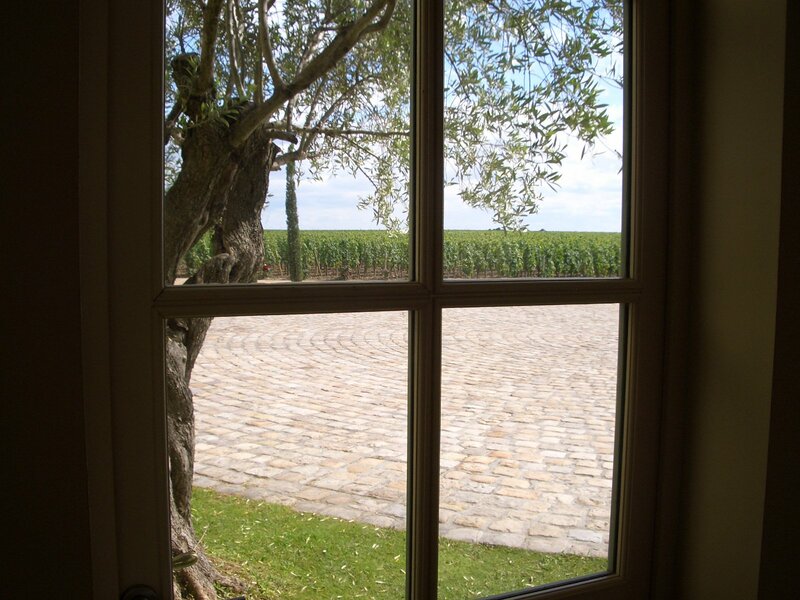 Aside from the new winery that is in the process of being built – just next to where the tasting room and the building hosting the cement tanks are – the work at Petrus is characterized by simplicity, and seems to be made exactly the same as it was 100 years ago. And still, the vines look perfectly aligned and healthy. In the cellar, they use cement tanks for fermentation using indigenous yeasts(this was a big surprise for me) and then the wine is aged for about 12 months in 50% new French oak. According to our host, the aim is to let the terroir speak and not silence it with excessive use of new oak or prolonged barrel aging. 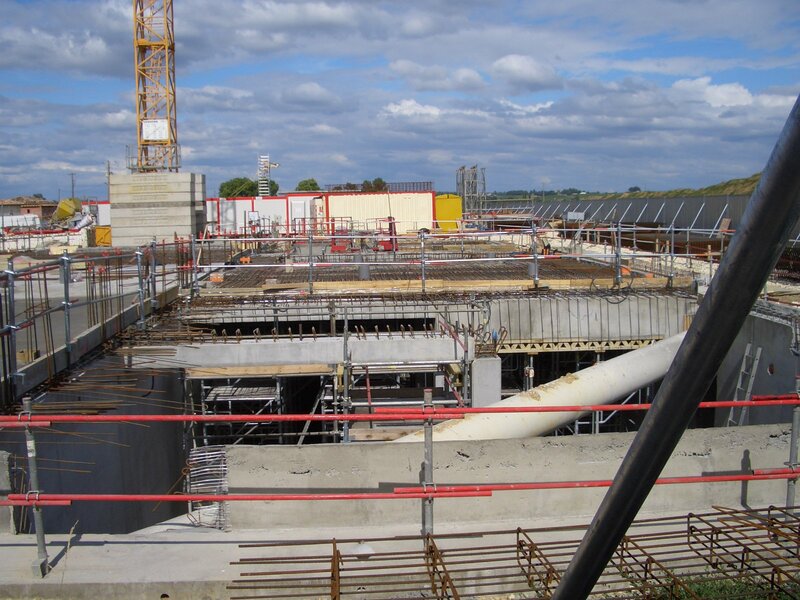 We were not able to visit the barrel room due to the construction site. 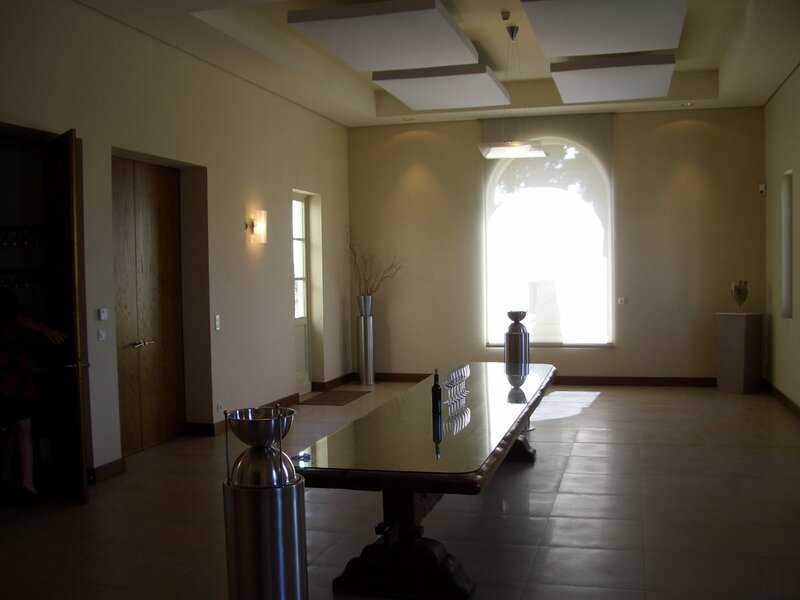 Just like the rest of the property, the tasting room follows the same spartan design, but with excessive attention to detail. 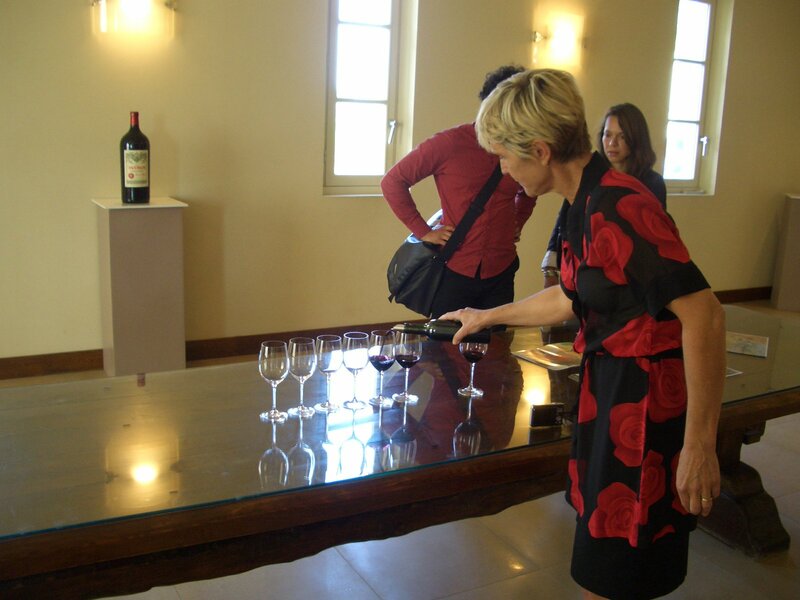 The tasting room is a large chamber with a wooden table for the tasting in the middle and a cup filled with the famous blue clay in a corner to showcase the soil. 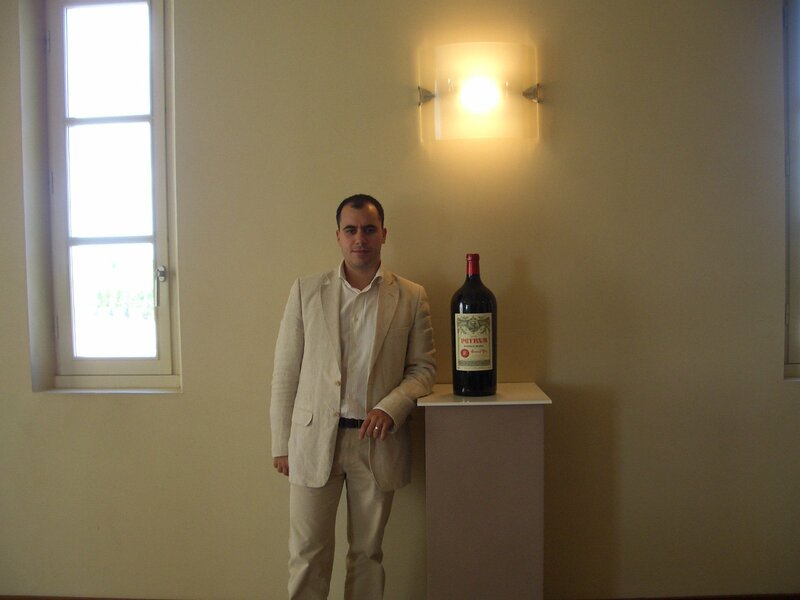 Only a large format bottle wearing the famous Petrus label hints where you are. I wonder if this simplicity is not meant to liberate your senses as much as possible from anything that can disturb, so you could focus on what is important here: the wine. 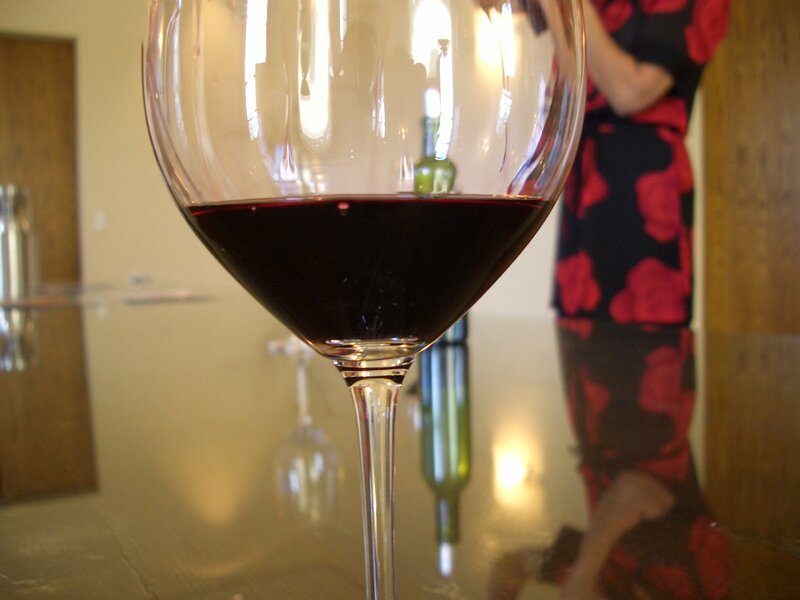 We tasted the new Petrus 2010 vintage. It is useless to say that nobody did spit the wine while tasting it. I am not sure if it was because of the high price it will sell for or was it because is just that good ? I left Petrus happy that I was able to taste such a famous wine coming from the acclaimed 2010 vintage, a wine rated almost a perfect 98-100 points by most important International wine critics. I just hope I will have the opportunity to taste this wine again in the future. It is good I did not have any other visits arranged after Petrus for THU, as I am sure I would have been biased tasting any other wines. P.S. By the time I wrote this article, Petrus still did not release the en-primeur price for its 2010. An interesting vinery indeed! Can’t wait to visit this one! How does one contact the Chateau Petrus to have a visit. I am in this area on the 10th August and I am visiting Chateau Gazin in the afternoon but would like to visit this Chateau or another one similar. Could you please recommend details. Many thanks, John Pawson. Unfortunately I cannot provide you any info for a visit at Petrus. One gets invited to visit. What a lovely experience, as I know they don’t open public, I wonder what are the ways to visit there and with the manager? I’m a wine distributor, I would love to go there for a visit, but I don’t know where I could find contact? How can I visit the veneyard too? 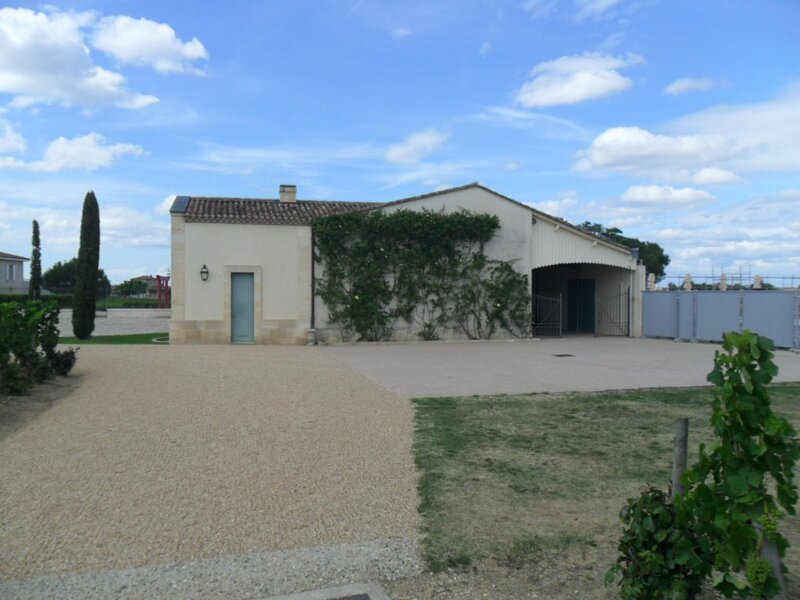 I and 7 friends meet every month to degust wines.My wife and I will spend 7 days in Bordeaux in october. 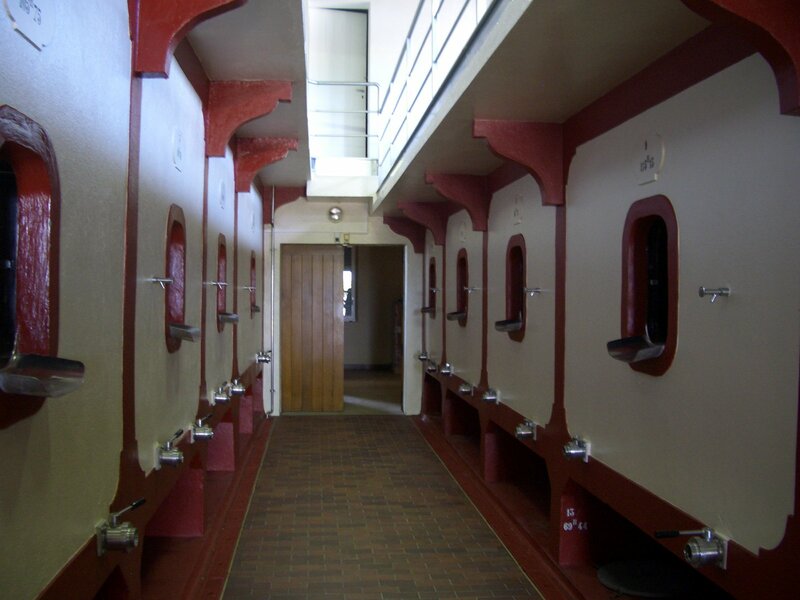 We woul love to visit Petrus. 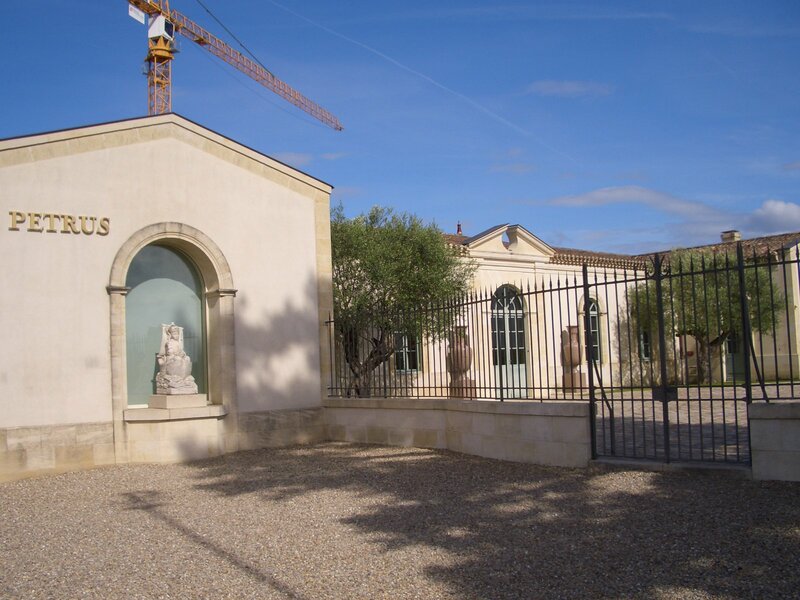 it’s difficult to schedule an appointment at Petrus if you do not have connections in the Bordeaux trade. I cannot really assist you. I worked in the wine trade in the left bank before, however, I do not have the contact for Petrus. By any chance, can you please share with me the e-mail and contact telephone of the Chateau? you cannot get a visit to Petrus by calling them. You have to know someone in the wine trade in Bdx to arrange a visit for you. How can I book this visit?? and for Cheval Blanc?? Dear Alberto I cannot really help you with that. It was a few years ago, many things changed.